Readers ðŸ‘“ OUR LATEST BOOK POSTINGS! 99Â¢ Book Promo Only $1.99 ! Kristy Stanford is a nineteen year old girl with plenty of sass. On returning to her hometown of Rivers Landing, from College in Melbourne, she finds her father struggling to make ends meet doing occasional day trips, on his ageing Paddleboat Maddy. Not one to dwell Kristy decides to have a shot at kick starting the business. 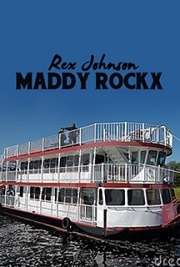 After convincing her father to renovate Maddy, she organizes an eight day Christmas/New Yearâ€™s, Rock n Roll cruise to three river towns along Australiaâ€™s Murray River. Little did Kristy realize that the upcoming voyage would surpass her wildest dreams and outdo anything she had hope.